Julep Floral focuses on raw, natural, and garden-esque style designs with the best blooms and foraged materials their Southern environment has to offer. To them floral design is more than just pretty flowers. Emily, the talent behind all the gorgeous florals was an absolute dream to work with and might be one of the sweetest people I know. 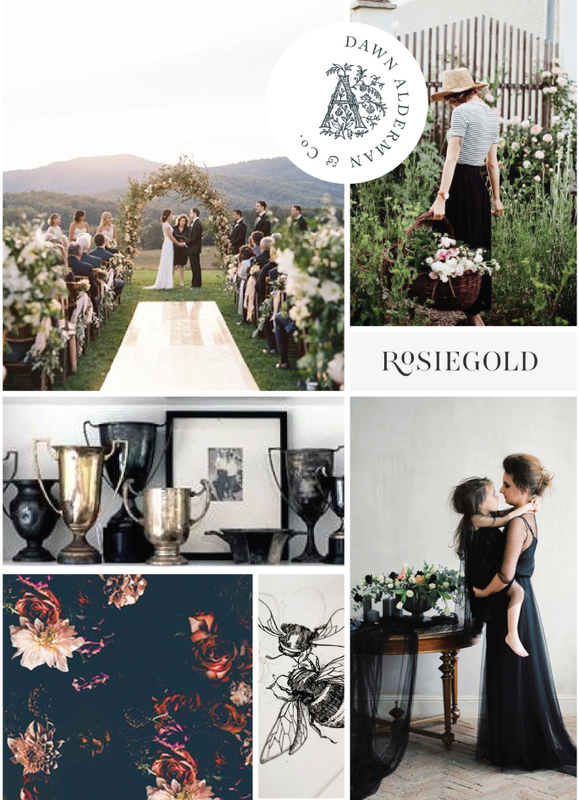 When we started the branding process a few of her keywords were natural, enduring, romantic, graceful and moody. Being from the south and living in Charlotte, NC she wanted to honor her roots and where her business is based without being obvious. We chose to incorporate vintage botanical drawings of magnolias as a nod to southern heritage. One detail that came up in our initial branding conversation was her love for bee's and how they take care of flower's just like she does. We decided to discreetly incorporate a vintage drawing of a buff-tailed honeybee. In my research I found that the queen only mates with one male, and they learn flower colors and forage efficiently. They also have an overlap of generations which I thought was the perfect representation of Emily's brand and how family and love is at the center of her business. While most people may not look at the design and see a buff-tailed honeybee and know the meaning I like for every single design decision to be intentional and tie back to the brand story. These tiny details are what make the brands unique to my clients! 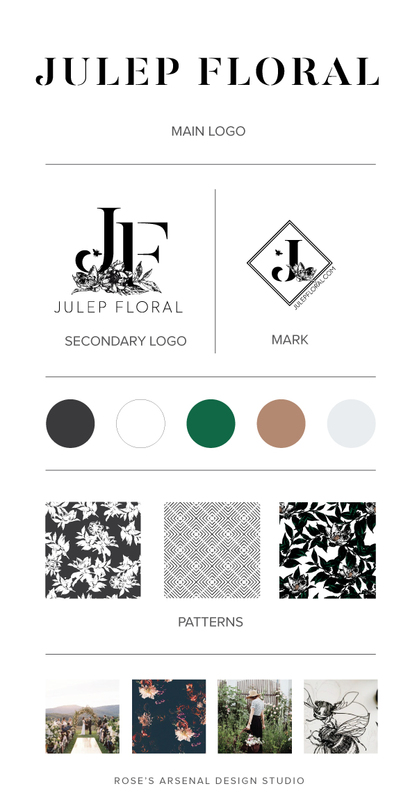 I design custom patterns for all my clients and for Julep Floral I focused on creating two contrasting look. One incorporating the vintage magnolia drawings and another that is bold and graphic. This helps tie together the two looks of vintage and modern that make up the Julep Floral brand. The final piece of the puzzle and my favorite part was her website design. I wanted to include design elements and patterns that really help tie the brand together but I also wanted Emily's beautiful florals to really shine. A few screenshots of her site design are below but I urge you to peruse her site yourself by visiting www.julepfloral.com. Especially if you are in need of a talented floral designer!